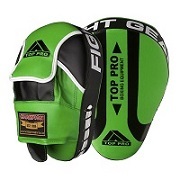 BOXING FOCUS PADS, HOOK AND JAB PADS, TOP PRO FOCUS PADS. 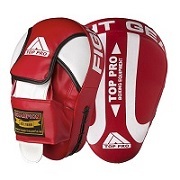 These Champion Focus Pads are a new generation of training equipment. Made from hi-tech artificial leather. 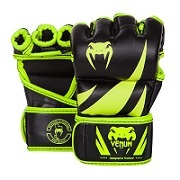 Featuring a curved design to help catch punches with an easy-grip palm technology to promote better positioning of the hands. make these extremely comfortable. 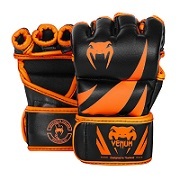 With a new eye-catching design they are perfect for Boxing, Gym Fitness and Boxercise Classes. 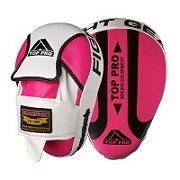 Great pads offering superb value for money. * Enforced Lining, special design palm ball. * Made from hi-tech artificial leather. * Length is 10” and is super lightweight. * Designed for High Performance work outs. * Protects fingers, front & back of the wrist. * Multi-layered Gel reduces impact on wrists. 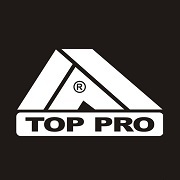 * Moisture-wicking inner lining for comfort. * Smaller Hitting Surface for better accuracy. Now Available in 5 Different Colours.